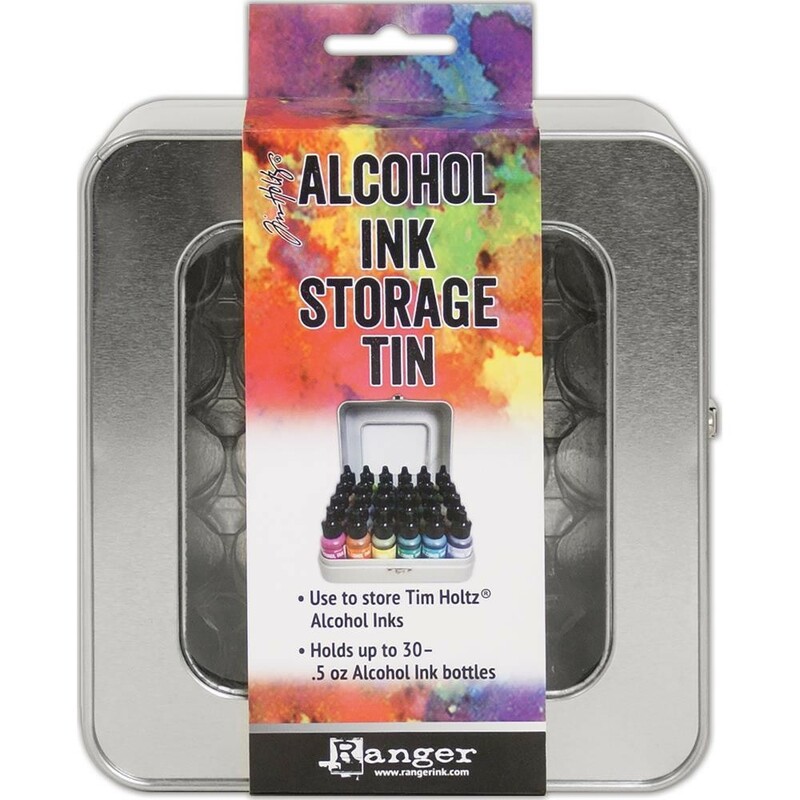 The Tim Holtz Alcohol Ink Storage Tin is the ideal storage solution for Alcohol Ink bottles. It features a clear window and hinged metal closure. The custom tray keeps the Alcohol Inks in place for easy access. One storage tin measures 6.25x5.875x3.25. It holds 30-.5 oz Alcohol Ink bottles. Recommended for ages 18 and up.